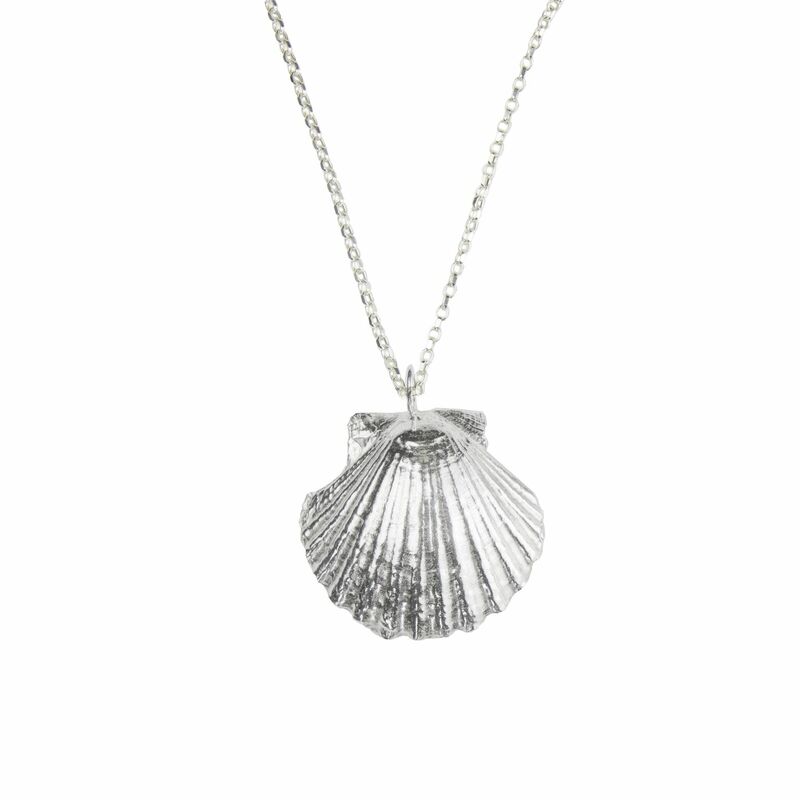 This stunning solid silver shell has been cast from the shape of a scallop shell picked from the Raasay beach. It is so amazingly detailed – it’s hard to believe that it is not a real shell! As this is a larger pendant it sits nicely on a long chain, the chain itself is also solid silver and is a ‘diamond belcher’ meaning that it really sparkles when it catches the light. Your beautiful piece of jewellery will arrive in it’s own beautiful, eco friendly cardboard, gift box which has our very own silver grasshopper embossed onto the lid. Service was excellent and my wife really loves the pendant. We visited your shop on Raasay in April and will be back!